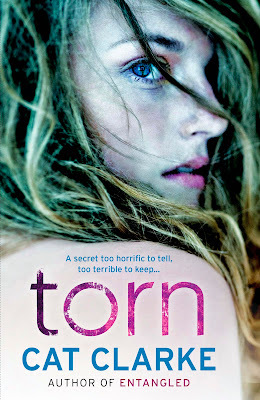 Empire of Books: Cover Art News: Torn by Cat Clark!!! ZOMG! Now anyone that was skulking around EoB towards the end of 2010 will of seen me rave about Cat Clarke's debut novel, Entangled, which was published this January. It had a looovely cover and now Cat has revealed the cover for her next book, Torn, which is due early next year. I saw this on my lunch break earlier today and had a little freak attack. I loved Entangled and have been counting down to this. Cat just has such an amazing voice in her writing that I cannot help but melt! Cannot wait for this book. Check out the beaut below! And be sure to get Entangled now!!! (Review here). Anyway... beautiful cover!!!! Love it! Entangled was such a great book too, I just can't wait to get my hands on this one!